On December 1, 3, & 10, 2015, your donation of a new, unwrapped toy will save you 50% on admission to Magical Nights of Lights . Donations benefit Toys for Tots. From December 18-23, 2015, your donation of 5 canned goods or more will save you 50% on admission to Magical Nights of Lights . Donations benefit the Georgia Mountain Food Bank. This can be a really good tip particularly to people fresh to the blogosphere. Brief but very accurate information Thanks a lot for sharing this particular one. and how in which you happen to be saying it. to stay it smart. I cant wait to read a lot more by you. reading it, you might be an incredible author.I am going to be sure you bookmark your site and definitely will return in the near future. I want to encourage you to ultimately continue your great writing, use a nice day! This article posted at this site is the truth is pleasant. 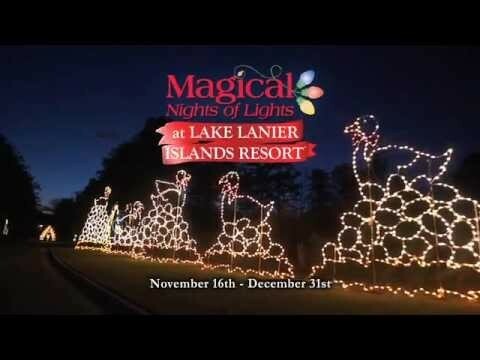 Winter Adventure at Lake Lanier Islands | Live Life Half Price <Liked it!